a weekend with no photos? inconceivable! In October, we had a similar meeting in Köln, but that was only for the North American (US + Canada) scholarship holders. This weekend’s conference was one of four “universal” DAAD conferences: every international DAAD scholarship holder currently in Germany was invited to attend one! They were broken down by topic; I seem to have been lucky in that I got my first choice, “Climate Politics, Food Security, and Natural Resources” or something like that. It turns out that there are a lot of international DAAD folks… there were over 400 just at this weekend’s conference! Of course, I was the only American from Dresden as Felicitas had already been to the meeting in April, and I was one of only 7 Americans in total this weekend. As it turns out, the developing world far outnumbers the developed world when it comes to these scholarships, as getting money to attend school in Germany offers a huge draw to people whose home countries can’t provide the same level of education. After a day of conference-opening and keynote sessions on Friday (the keynote speaker gave a surprisingly good talk on the pros and cons of biofuels which I particularly appreciated) and several chances to bond with our fellow countrymen, Saturday morning was filled with typical “conference” activities: breakout sessions, coffee breaks, and a cafeteria lunch. My first breakout session was a fascinating presentation by a professor from Braunschweig about the potential for sustainable waste management. I love it when environmental scientists and engineers are able to be optimistic and innovative instead of talking gloom and doom all the time. I would love to see the future of self-sustaining apartment buildings that run on energy created from their own recycled waste. “Urban mining” was also a topic of interest: making use of resources that have already been converted into consumer goods for a secondary life as energy sources! Luckily, the “conference” as such ended midday. 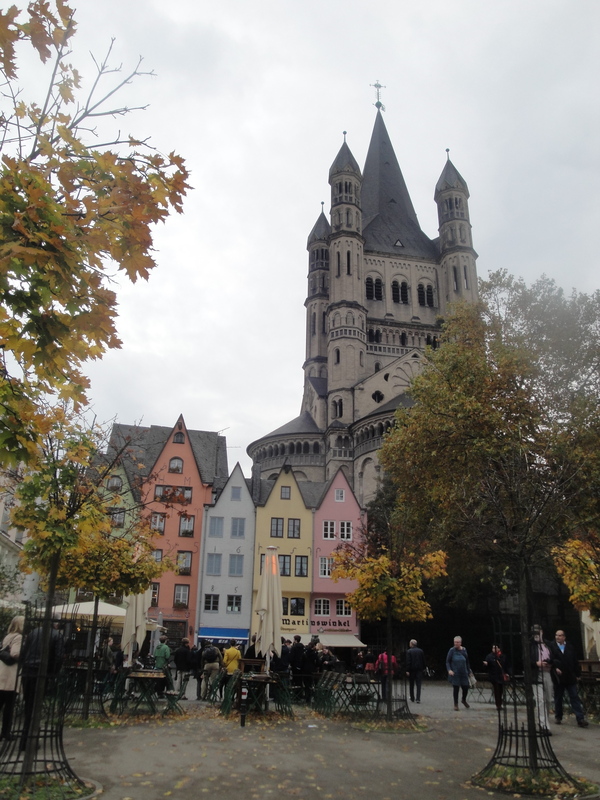 After lunch, we were bussed into downtown Braunschweig for guided tours through the city! At this point, I really wished I had grabbed my camera, which was useless in my hotel room. The city is mid-sized, medieval, and gorgeous. How medieval? 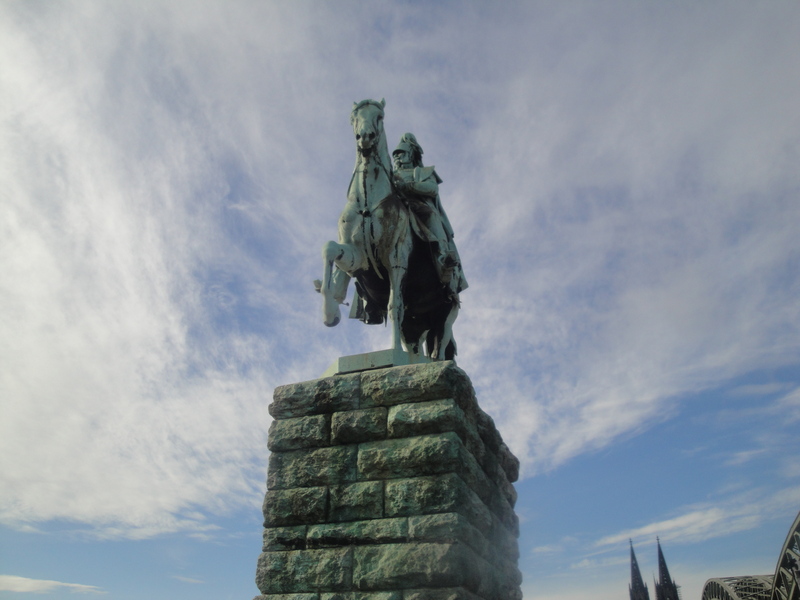 Its founder (around the 10th century) was nicknamed “the Lion.” Between that and the cobblestone roads punctuated by Romanesque buildings, Braunschweig seems like it would be the home of German Robin Hood. Braunschweig boasts Germany’s “newest castle,” rebuilt in 2007 after being destroyed in WWII. 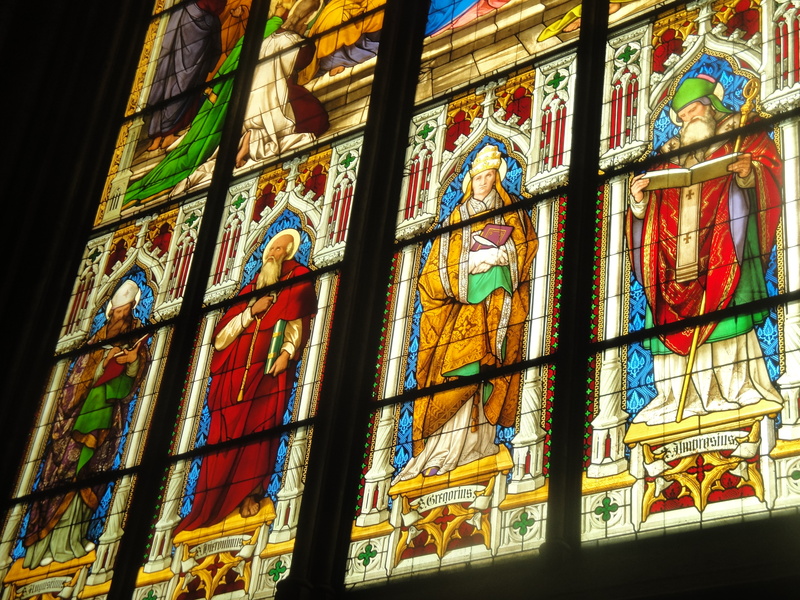 There are also several Romanesque and Gothic style churches, as well as multiple city halls in the Renaissance style. (Because Braunschweig was originally five different cities, there are multiples of important landmarks.) During the tour, an open-air performance of West Side Story had just begun in one of the town squares, so as we were led around by our tour guide, we could hear snippets of the music; most amusingly, “I like to be in America.” There were also a few huge pro-Palestine rallies happening in various parts of town. After the tour, a few of us grabbed ice cream (for the girls) and beer (for the guys) as we waited for the buses to arrive to pick us back up… after a few misunderstandings and a bit of running around, we finally found them and we made it back to the hotel for a small break before dinner. On the bus to dinner, I reconnected with a few other Americans. As there were over 400 of us, we couldn’t imagine what kind of place they had found that would fit all of us! (Until this point, we had just eaten at the university’s dining hall.) We eventually arrived at a huge green warehouse… yep, that seemed about right. The place had been decked out with a big buffet table, dozens of smaller tables for seating, and a dance floor. We joked that it seemed like prom! We considered taking prom photos with our American-Russian coalition, but that never happened. The food was delicious, and we each got three drink coupons, which could be used to purchase beer and wine, so that kept things lively! I really enjoyed the opportunity to get to know some of the other scholarship holders and hear about their experiences: where they come from in the US, what experiences they’ve had in Germany, what they study. It’s always good to have a bit of solidarity, especially during an experience that can be as solitary as I’ve found this year to be. And the dancing… the dancing was fun. I was skeptical about the idea of what had been billed as “clubbing,” but it was fun in the cheesiest way. The music selection was eclectic, and we speculated that it had been chosen to appeal to people from over 100 countries! (Over 100 countries! Can we just take that in? Where else could you find such a group?) In any case, I’m sure that the Backstreet Boys would be proud to know that their 1998 hit “Everybody (Backstreet’s Back)” is still widely known and loved by twenty- and thirty-somethings around the world. I can’t come up with an adequate closer, so I suppose I’ll leave it at that! I’m thankful to have had the opportunity to have been in such esteemed and diverse company this weekend. It’s good work that the DAAD is doing and I’m proud to be a part of it. 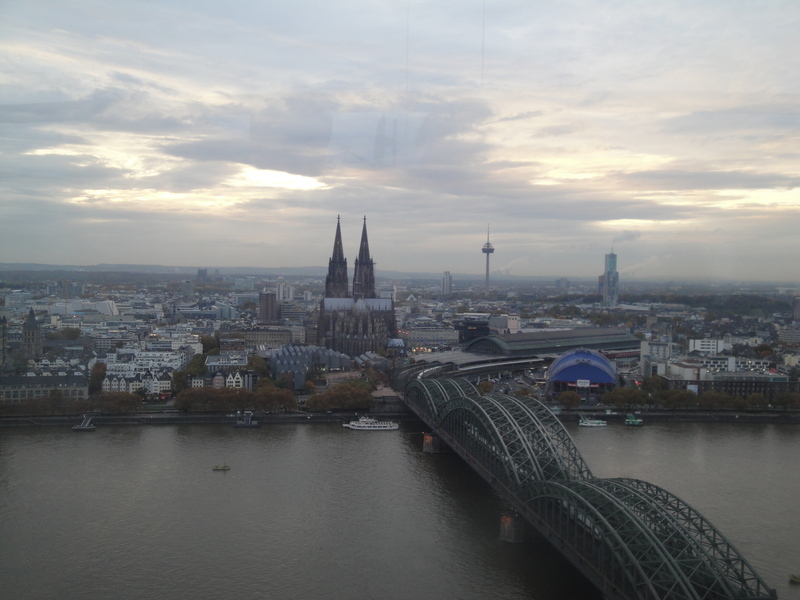 The DAAD is headquartered in Bonn (the old capital city of West Germany), which really isn’t that big of a city, so our scholarship group’s orientation was held in the nearby city of Köln (Cologne, in English). The group is made up of grantees from Canada and the USA, and there were about 120 of us. That’s a lot of people, and I definitely didn’t get to meet everyone, but everyone I did meet was lovely. If my Plan II education prepared me for anything, it was this weekend. I was able to have conversations with Classics scholars and engineers alike, asking them about their research and answering their questions about mine. We found common bonds: hometowns in the US, grievances with the German system, love of Köln’s signature beer, Kölsch. I really enjoyed my time with the other Stipendiaten. It was clear that everyone there (whether they were undergrad students, master’s students, PhD candidates, or people like me who are just along for the ride) was brilliant and passionate about what they do. I had an awesome discussion with a recent Stanford grad studying in Münster about the impact that studying the liberal arts has had on our life decisions, and the fact that being in Germany for a year is going to give us a lot of perspective about what we really want to do in the future. 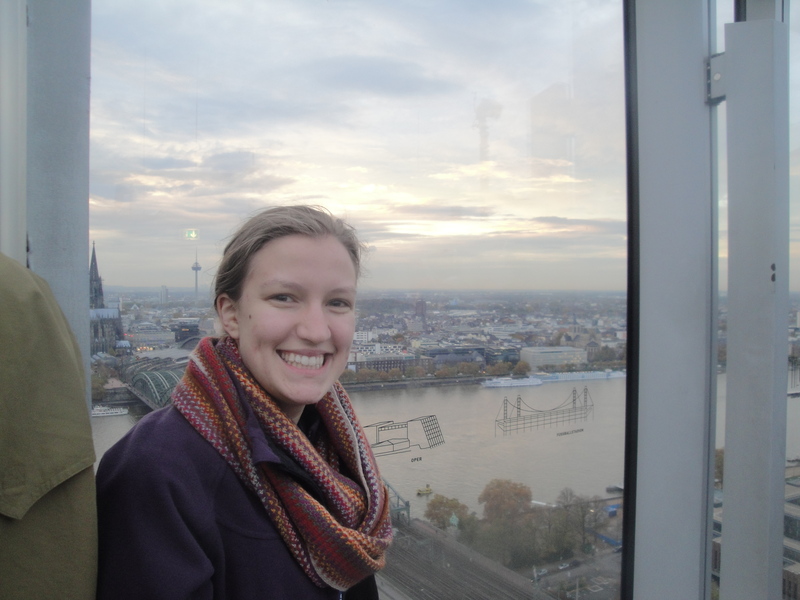 I was able to commiserate about the bureaucracy involved in attending school in Germany, hear about other people’s host cities, and swap travel stories. It was totally weird to be speaking English, with Americans, in the middle of Germany, but it was awesome to be able to interact with so many different people. 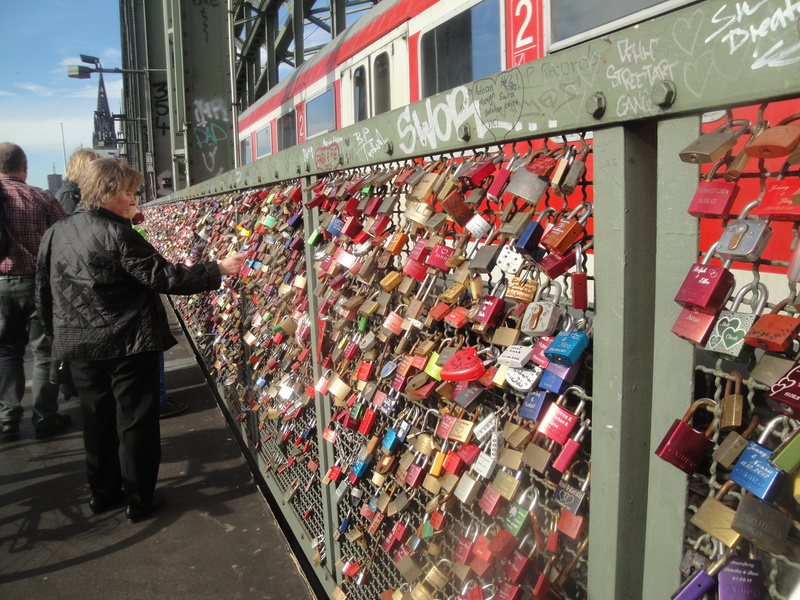 Couples place a lock bearing their names (and maybe their anniversary) on the bridge and then throw the key in the Rhine, indicating the eternity of their love. The world is a small place, and the more you travel, the more you realize that fact. I met a guy who got his Master’s from UW-Madison, where I will be in a year, who offered me some advice about finding housing. I also met someone from Kutztown, PA, within hailing distance from where I was born and grew up, and (finally!) the only other grantee from Dresden!! We were very relieved to find each other… it’s lonely all the way over here in the east! Throughout the weekend, we had several informational sessions that educated us about different facets of the program and life in Germany. We heard a general summary of the DAAD’s programming and objectives, and we learned about the landscape of higher education and research in Germany. The DAAD staff members tried to answer our questions about funding, bureaucracy, etc. as patiently as possible. We also heard presentations from two Stipendiaten in their second year, offering some insight about what it’s like to live abroad and study in Germany. 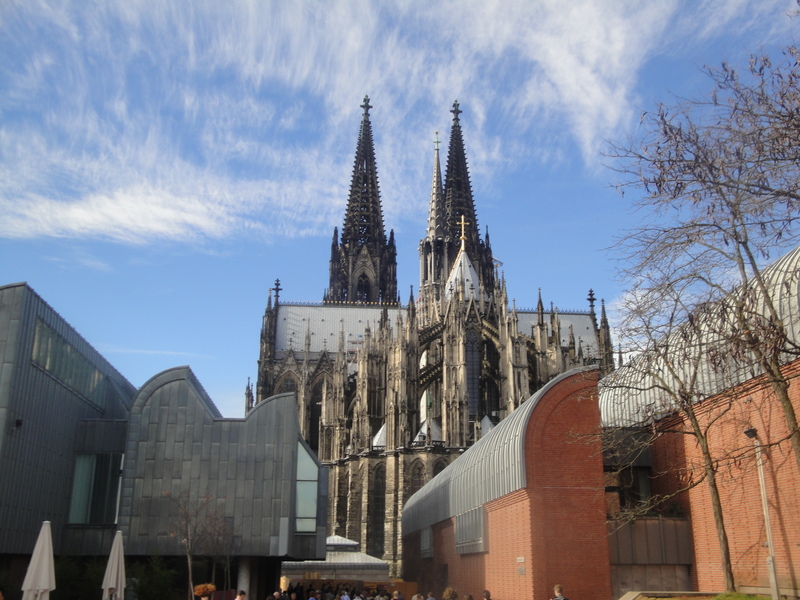 As part of the program, we also got to take a guided tour of Köln together. I’m interspersing pictures throughout the post so you can see some of what I got to see. I had wanted to take a German tour, but alas, an English one was available and I went for it. It paid off, because our tour guide was highly amusing. 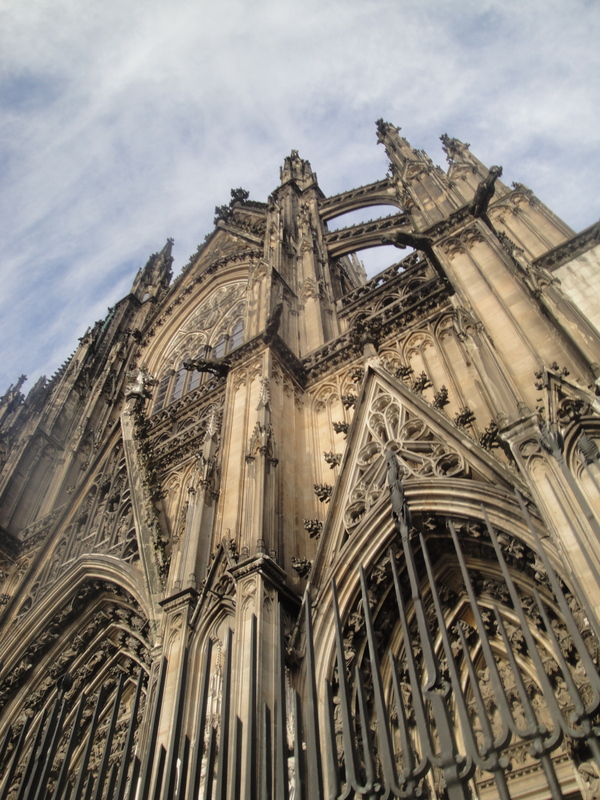 Köln is directly on the Rhine River and was once part of the Roman empire. That fact really informs a lot of the history of the city. It’s crazy how regional differences define German cities so much, but it’s true; the country has only been united as “Germany” since 1871, and each little kingdom or principality had already spent hundreds of years developing its own customs, cuisine, language…. The most famous landmark in Köln is the cathedral, the Kölner Dom. It has an incredibly complicated history–because of a string of political and religious events, it was completed in the 19th century (many thanks to Napoleon), about 500 years after its foundation was laid. It is said to house relics of the 3 wise men. It is unbelievably large, incredibly intricate, and absolutely beautiful. Beautiful city, stimulating company, and delicious beer. A great 24 hours all the way out west! The cat’s out of the bag, or at least enough is certain and decided-on that I feel good about sharing this now! GUYS. Guess who’s going back to Germany this fall? 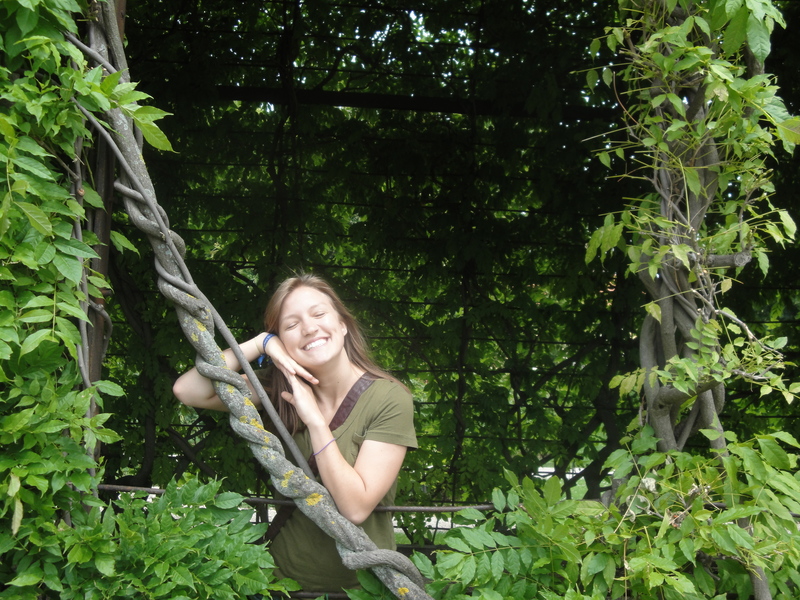 That’s right… I recently received word that I got the DAAD fellowship I applied for in the fall! This scholarship will support me for 10 months (a full academic year!) as I complete an independent study at a German university. I opted to base my project around my senior thesis (I’m studying river management and the EU Water Frameworks Directive), and I will be working and studying at the Technische Universität Dresden! If you look really closely, you can see Dresden in the very eastern corner of the country… find Prague, and then look directly north. If you can see the details clearly enough, you’ll notice that Dresden is right on the Elbe River, one of the rivers I’ve been studying in my thesis research. If you were a follower of this illustrious blog when I started it 2 years ago, you’ll remember that I spent a semester in Freiburg. Dresden is pretty much on the opposite side of the country from Freiburg. I loved Freiburg and Baden-Württemberg, and it would’ve been cool to be back there again, but I’m ready for a new adventure. The faculty at TU-Dresden has been very accommodating, and I’m excited to experience a different part of the country! Dresden is the capital of the state of Saxony (Sachsen), and it is a major scientific and industrial hub. It is also renowned for art and its infamous role in Hitler’s regime and World War II. The city was largely destroyed by the war. During the Cold War, it was part of the German Democratic Republic (East Germany)… this is the scary/exciting part for me, because even 15 years after reunification, the eastern part of the country is sometimes seen as lagging behind the west in terms of infrastructure, language, etc. So not as many people (especially older people) probably speak English as their western counterparts. Better opportunities for me to practice my German skills, I suppose. Anyway, I am really excited for this opportunity! I will be in Dresden for two semesters, from October 1, 2013 – July 31, 2014. If you want to meet me in Europe somewhere, I’ll have an academic break for Christmas/New Years, and the semester break will be in February and March, so I’ll be freer for travel then! Or you can come visit me in Dresden! This is a really exciting opportunity and even though I’ll be far away, I will be bringing back the blog to keep everyone updated! Get excited!